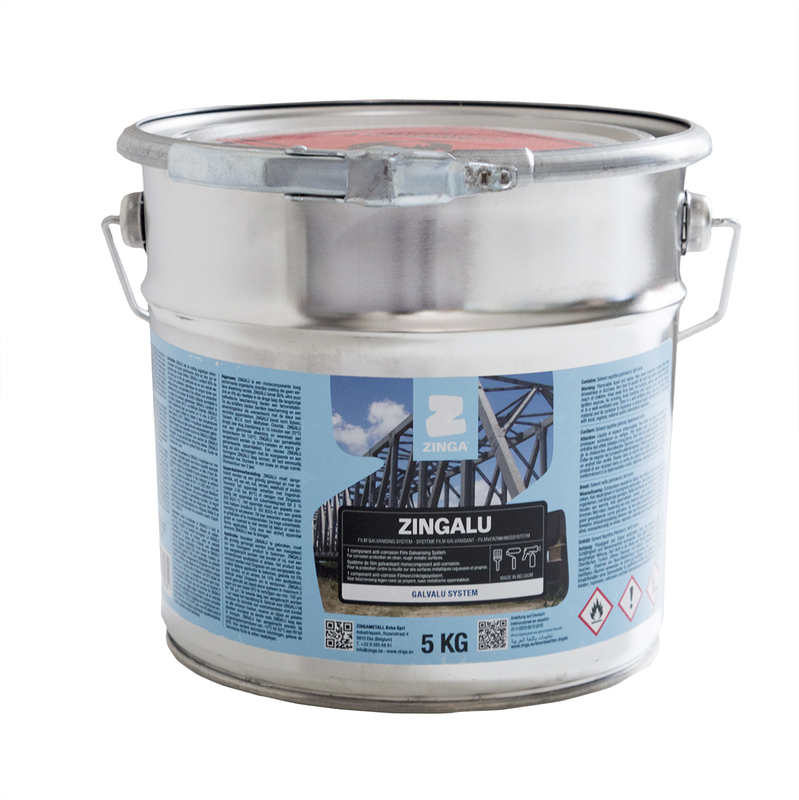 ZINGALU is a one component high performance stand alone organic zinc rich coating. ZINGALU has 90% of ultra pure zinc (ASTM D520 type III) and 4% aluminium flakes in the dry film which provide long lasting cathodic protection to ferrous metals. The aluminium flakes offer barrier protection and a bright finishing color, matching the color of galvanised surfaces. Therefore ZINGALU is ideal for repairing and touching-up of damaged or old hot-dipped, Zinganised or other zinc coated structures.It can be applied by brush, roller or spray equipment on a clean and rough substrate in a wide range of atmospheric circumstances. ZINGALU is also available as an aerosol and is sold as Zingaluspray.